Battery Drain is one old problem faced by Android users all over the world. It is always depressing to see low battery notification frequently. 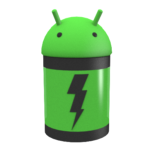 Most of the Android phones come with a Power saving option and it is somewhat efficient. Still the usage of your favorite apps can cause headache to you as they conceive lot of battery charge. To find such apps you have provided with variety of battery drain app detectors in the Play store. Battery detectors are also Android apps which can be very handy to you to conserve your most precious battery charge. Here is the list of some prominent greedy app detectors available in the market. This efficient app was introduced by Uzum apps. The app was developed to detect the immense battery drain apps running in the device. Many useless apps may be running background without user’s knowledge. This app is so useful for the user to recognize such gluttonous apps that use the mobile resource even when the phone is not in use. You have the options to categorize the apps according to their battery usage and running duration in the background. The main characteristics of this app are the detailed statistics for all applications. Battery Booster is an all in one app released by AIO Toolbox Inc. on September 25, 2014. 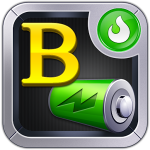 This app is not only a battery drain app finder but also a powerful power management tool. The most striking feature of this app is the user friendly interface that makes it enjoyable. The comprehensive app statistics and automatic battery saving modes are added advantage. The app enables the user to gain access of both network and screen control very easily. An app which is of course free of cost and has almost all features offered by paid apps is something good to see. 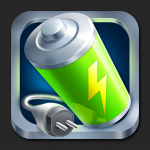 Battery Widget Pro app not only monitors the greedy apps but also monitors the battery charging speed. This is a great feature to get long life batteries. The app has the facility to manage the screen Brightness, Wi-Fi, GPS etc. The app is introduced to the market by M2Catalyst, LLC on 15 August 2014. The app has the miscellaneous features like analyzing battery usage by foreground, background etc. and can sort it on the basis of past hour, week, month etc. 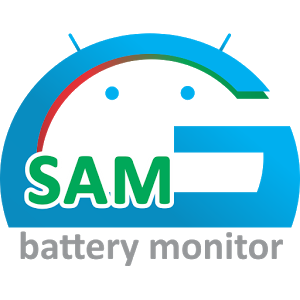 Gsam Battery Monitor Pro is one of the upcoming favorite apps in the Play Store. This app is specially designed to get the details of unwanted apps that utilize battery power without the consent of the user. The app comes with a feature called App Sucker which can be used to find and kill unnecessary apps without much difficulty. The user can rely on the time estimates provided by the app on remaining charge. The app is also capable of getting details like CPU and sensor usage, Kernel wake locks etc. Historical averages are available to each and every app installed in the device and can calculate time left data accurately. Custom themes for the app are also available to make it much interesting. The app is one latest addition to this category and was released on November 4,2014 by Gsam labs. Batter Doctor is one of the all-time best battery app introduced to the market by any developer. The credit to this incredible app goes to Cheetah Mobile formerly known as KS mobile. 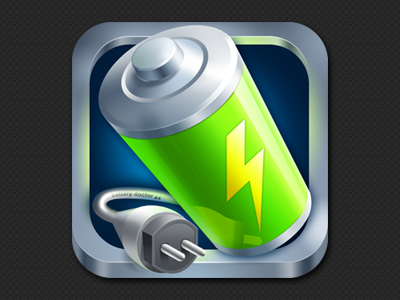 This app is specially developed to conserve the battery usage of your Android device. The app consists of various modes that can be chosen by the users according to their preference. The app also has task killers which is an efficient one to detect the voracious apps and to get rid of them. The app also comes with a three stage charging system to maintain the battery health and to avoid problems due to improper charging habits. Usual battery app features like brightness control, temperature monitoring etc are available.